FLAGSTAFF, Ariz. — The National Park Service is considering a steep increase in entrance fees at 17 of its most popular parks, mostly in the U.S. West, to address a backlog of maintenance and infrastructure projects. 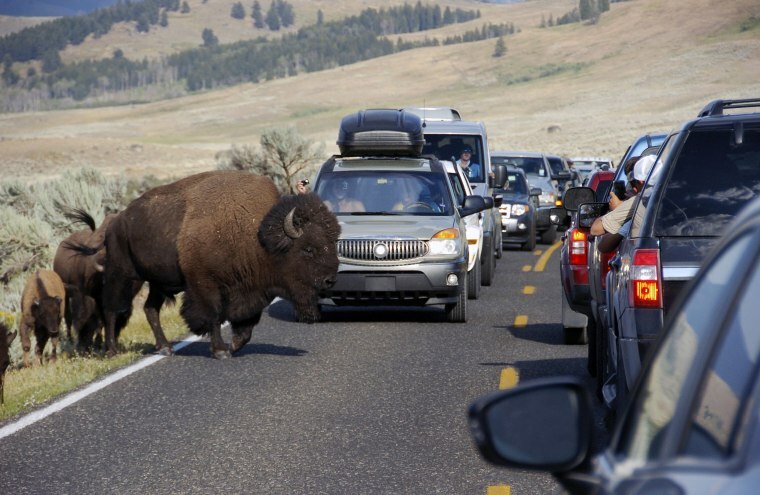 Visitors to the Grand Canyon, Yosemite, Yellowstone, Zion and other national parks would be charged $70 per vehicle, up from the fee of $30 for a weekly pass. At others, the hike is nearly triple, from $25 to $70. A 30-day public comment period opened Tuesday. The Park Service says it expects to raise $70 million a year with the proposal at a time when national parks repeatedly have been breaking visitation records and putting a strain on park resources. Nearly 6 million people visited the Grand Canyon last year. "We need to have a vision to look at the future of our parks and take action in order to ensure that our grandkids' grandkids will have the same if not better experience than we have today," Interior Secretary Ryan Zinke said in a statement. "Shoring up our parks' aging infrastructure will do that." Annual $80 passes for federal lands would not change, though fees would go up for pedestrians and motorcyclists. The higher fees would apply only during the five busiest contiguous months for parks, for most that's May through September when many families are on vacation. It comes not long after many of the parks that charge entrance fees raised them. The rationale is the same this time around — to address a backlog of maintenance and infrastructure projects. Latino Outdoors founder Jose Gonzalez said the need for revenue and to control the crowds at the busiest parks is understandable but he questioned the potential impact. "If there isn't always a question or consideration of equitable access to a lot of communities, it's only going to increase the disparity in terms of who is able to access our national parks and public lands," he said. "If they have the true justification for that, then I think preserving these lands for future generations is absolutely critical," Erik Schwartz said. Flagstaff resident Brittany Montague said the proposed increase is "completely unreasonable," especially for young families and those making a day trip to national parks. If the cost included a guided tour or family photo, "it might make it worth it," she said. The proposal applies to Arches, Bryce Canyon, Canyonlands and Zion in Utah; Yosemite, Sequoia & Kings Canyon and Joshua Tree in California; Grand Teton and Yellowstone in Wyoming; Mount Rainier and Olympic in Washington; Shenandoah in Virginia; Acadia in Maine; Rocky Mountain in Colorado; the Grand Canyon in Arizona; and Denali in Alaska. Denali is structured differently because it's largely a drive-through park. The vehicle fee doesn't apply. The proposed increase per person is from $10 to $30.